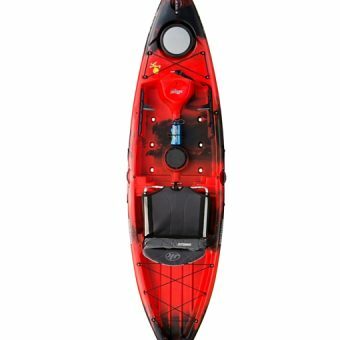 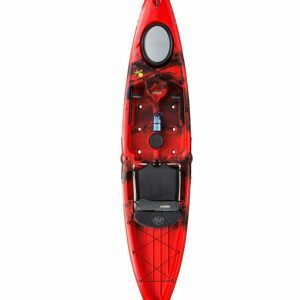 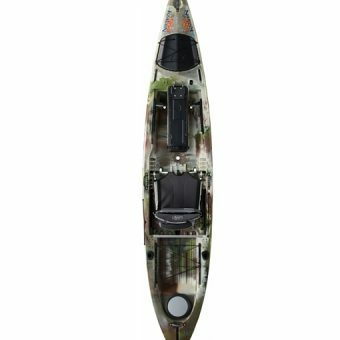 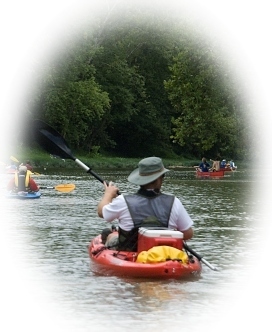 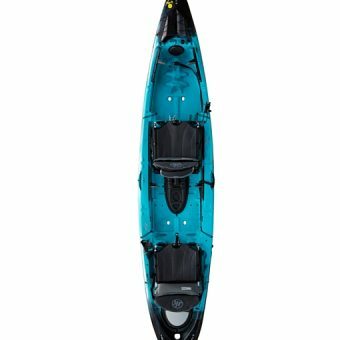 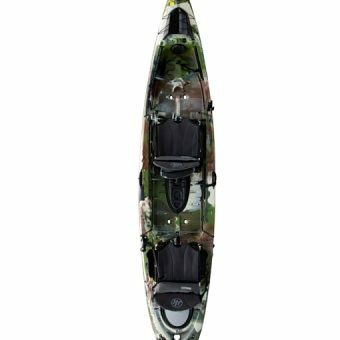 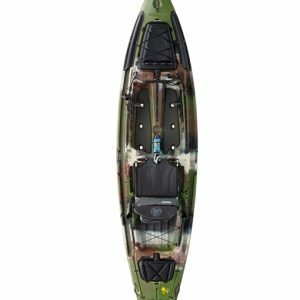 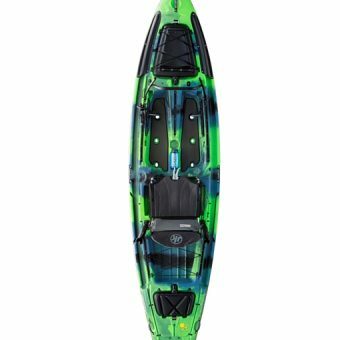 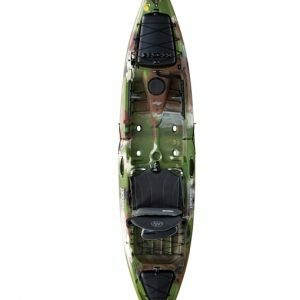 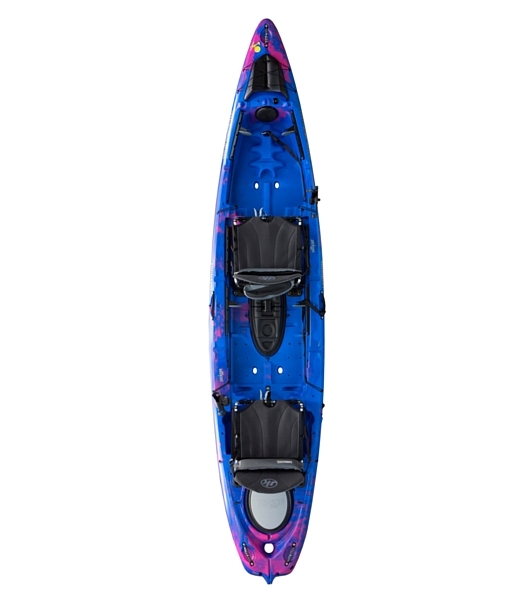 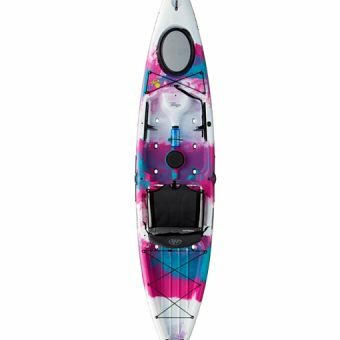 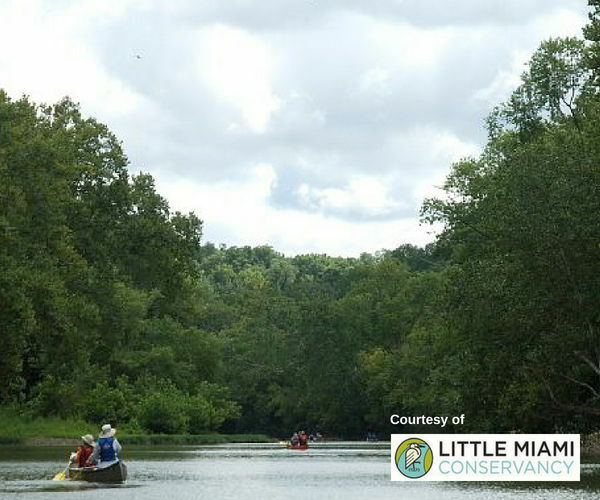 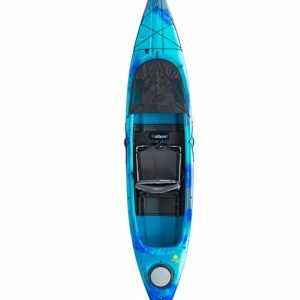 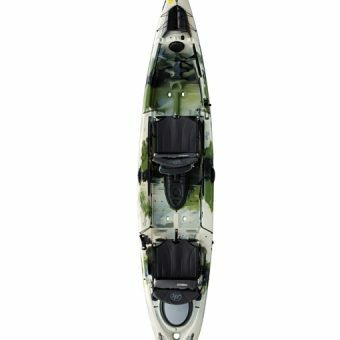 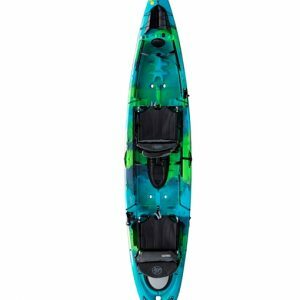 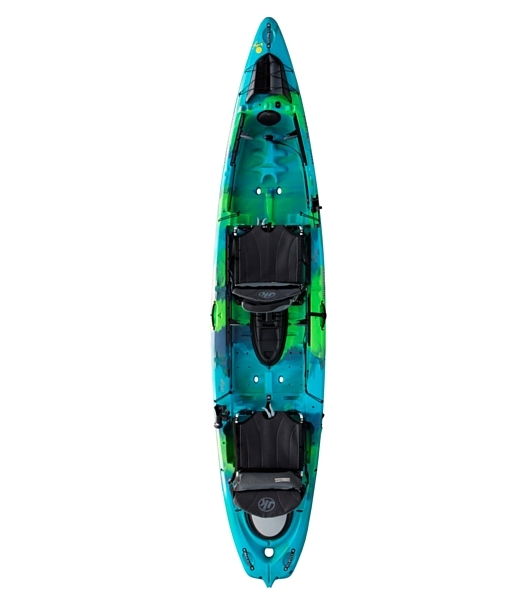 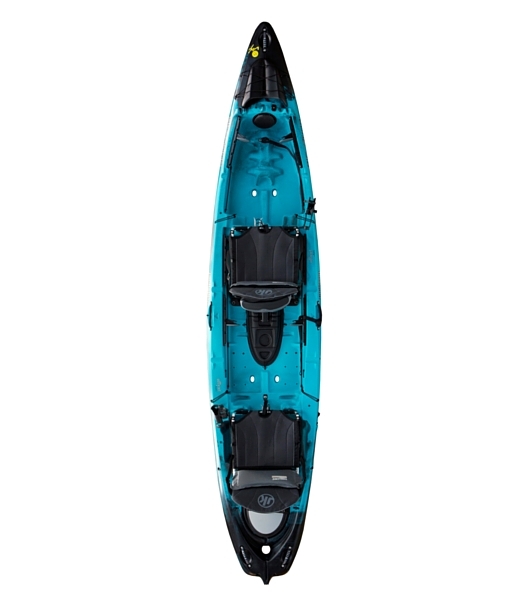 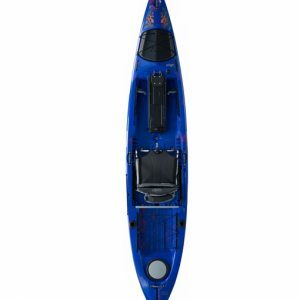 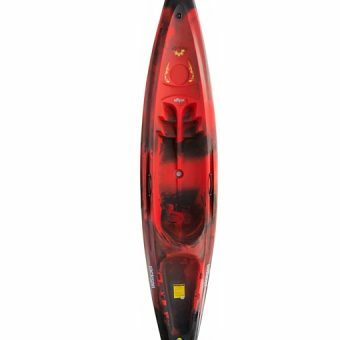 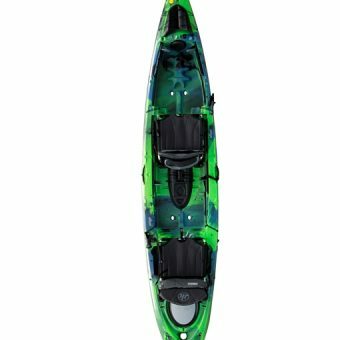 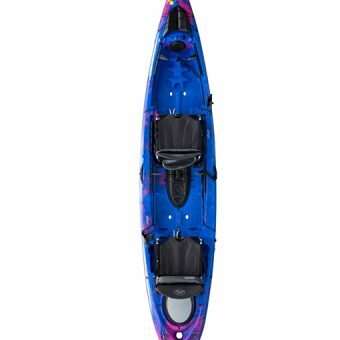 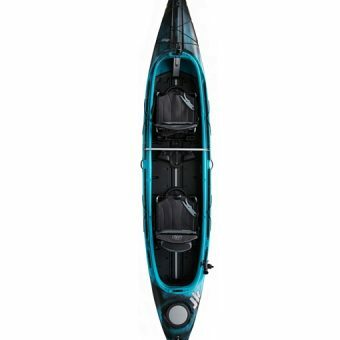 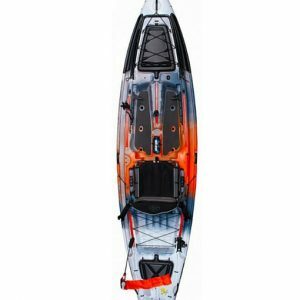 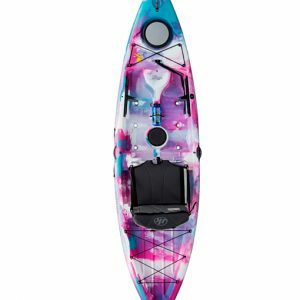 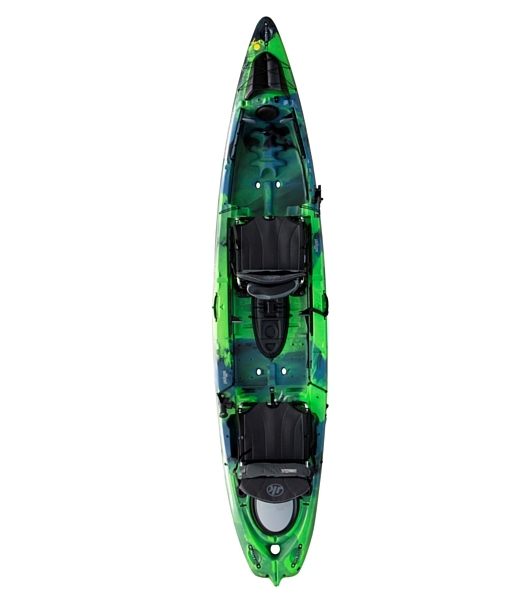 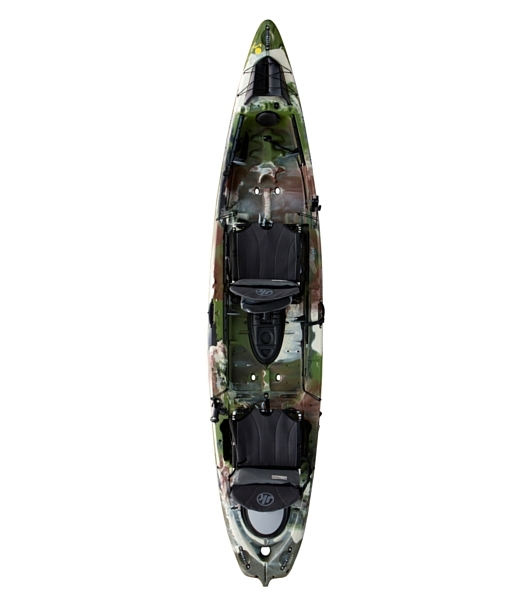 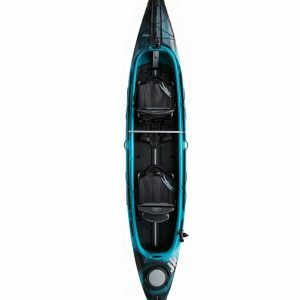 The Big Tuna is one of our largest capacity kayaks with the ability to paddle either as a tandem or a solo fishing kayak. 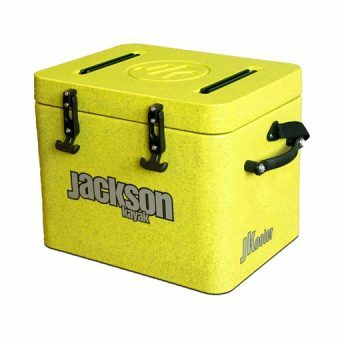 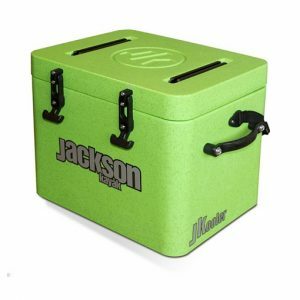 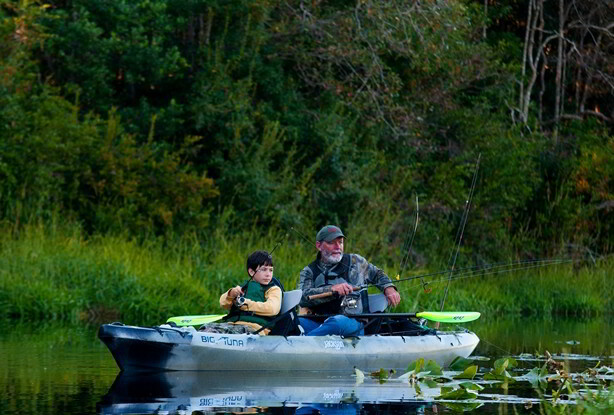 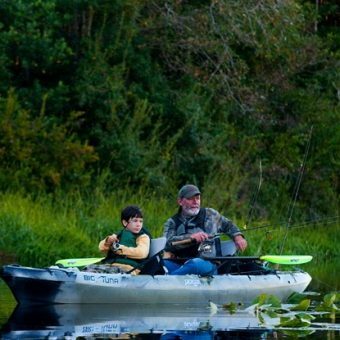 It has many different seating positions allowing for traditional tandem positions, ‘facetime’ positions and a good variety of solo positions making it a great platform for fishing of all kinds. 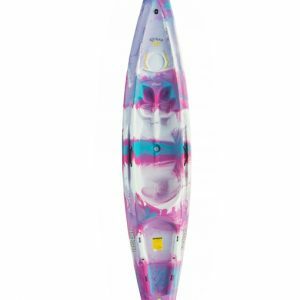 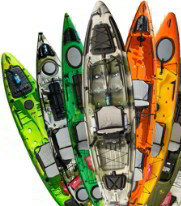 Its JK stability, logical accessory positioning, rudder option, and speed make it a serious predator in all water types. 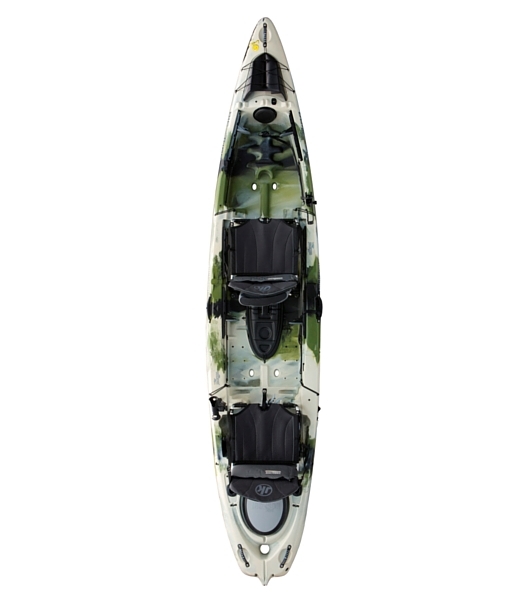 >> Fantastic stability – perfect for the “big boys” in the solo mode!